If you have been following me here long you will know I am the ultimate cupcake queen. I could eat them everyday of the week and any flavor goes. If there is an excuse to have a little tea party there will be cupcakes present. 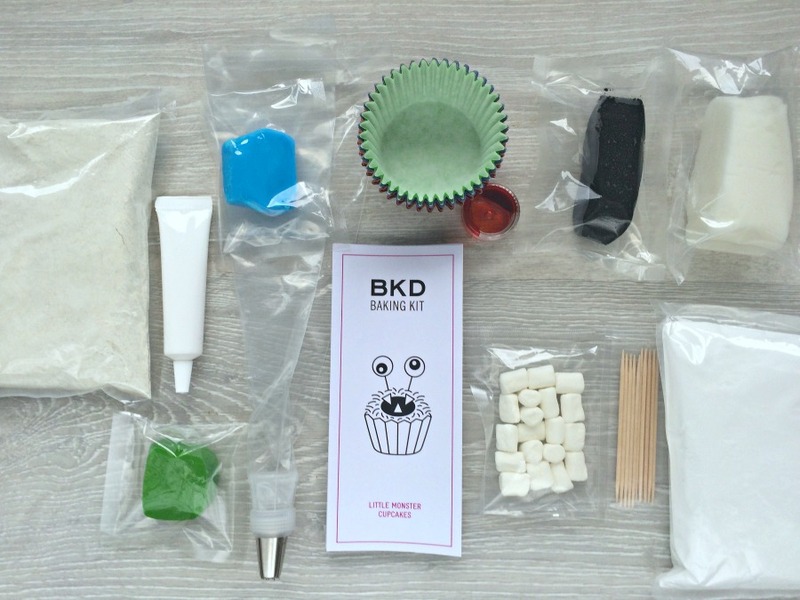 I was ecstatic to team up with BKD-LONDON to test out their Little Monsters Cupcake baking kit. 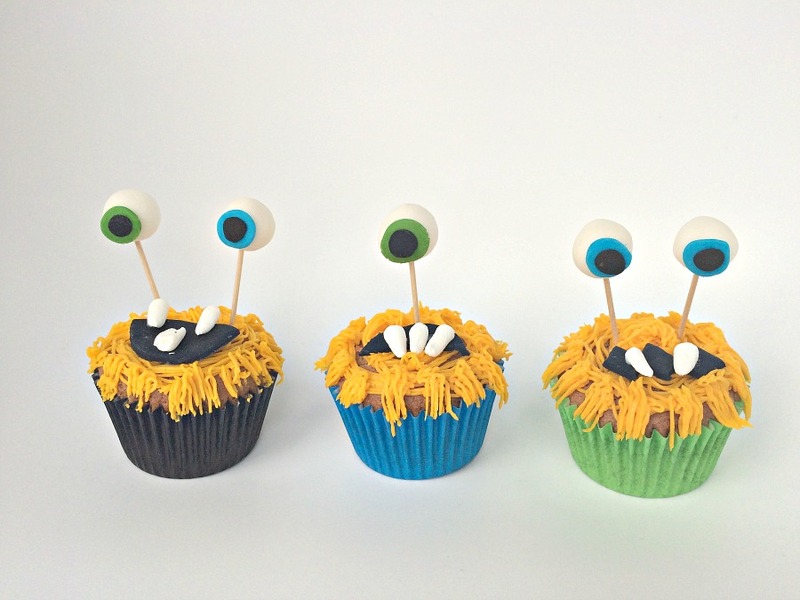 Whilst I love cupcakes I have never made monster ones before. 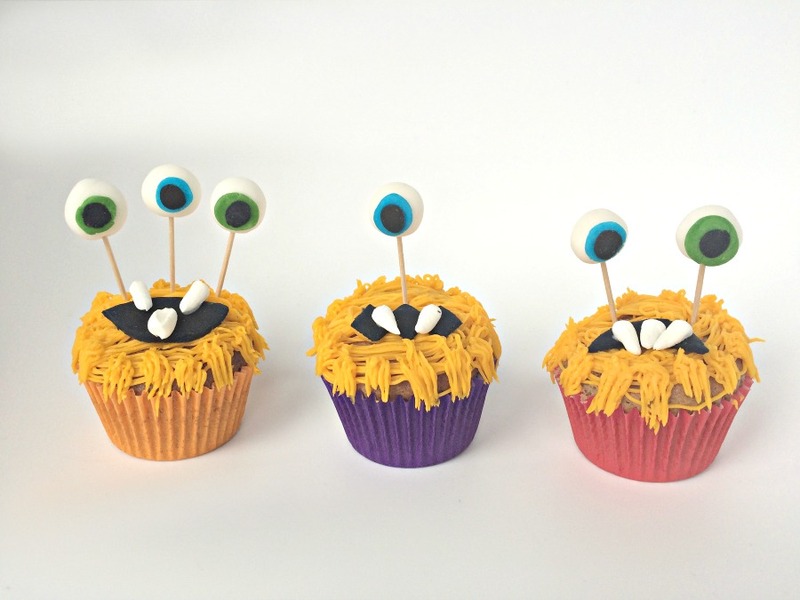 Before you say it, yes, Halloween just went by but these would be great for a monster themed birthday party or to make with the kids anytime of the year. What kid doesn’t like monsters, besides the ones under the bed. 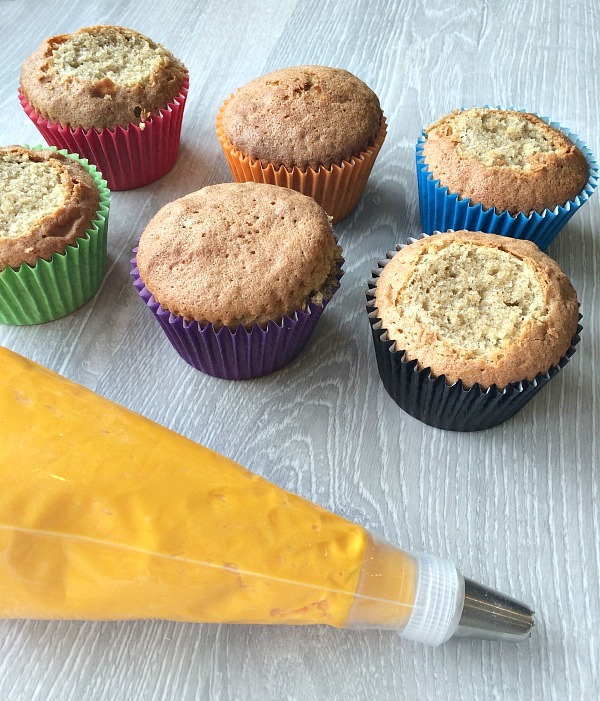 The baking kit comes in a tall tube above and here is all the ingredients you get with your kit. It truly has everything you need right down to the toothpicks and cupcake wrappers. It was a gloomy day, hence the darker photos but it meant it was the perfect baking day! Buba set out to roll all the fondant for me while I got to work on the batter. He was so excited to be up on a stool, in the kitchen, helping Mommy make monster cupcakes. I never really baked with Buba when he was younger and part of me feels bad about that. It was not because he was a boy either I just never have been good at letting the kids get messy and involved in it until recently. 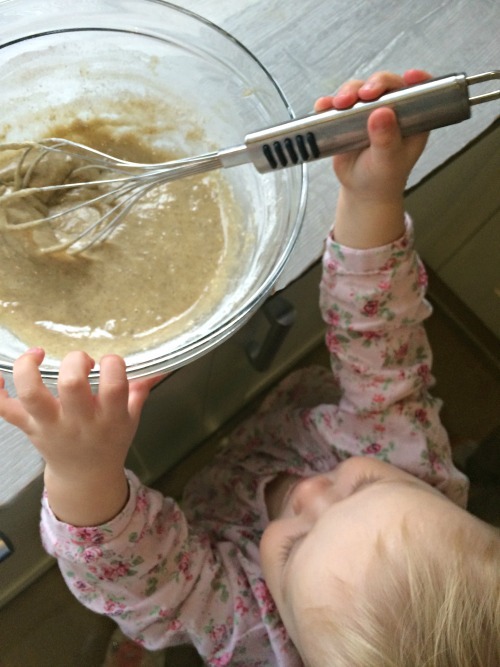 When I had Missy Moo I vowed to change this and so when it came time to stir the batter I let her right in there to give it a few whips herself. She did great too and loved helping us out. It truly was a family team effort and the very first time I have baked with both of them. It won’t be the last though I really enjoyed watching them get so into it and the smiles were enough to say we need to do this more. You are probably wondering why on earth are some of the tops on my cupcakes cut off. Well, if you have been reading here long you will also know I am a bit ocd and I wanted them all to be the same height and level. A few of my lovely cupcakes puffed up creating great bubbles in the middle, still absolutely tasty, I didn’t waste them, don’t you know me at all? Then I made the icing and prepared the piping bag. It was great that the kit came with so many tools as well. I could use this piping bag again and it was very user friendly. Overall, the kit was really easy to follow instructions and there were so many little things the kids could do. The frosting tastes yummy and I cannot HIGHLIGHT enough that the actual cake was absolutely scrumptious. It almost looks like dark wheat here what ever was in the recipe it is perfect. I would love to actually have it to make future cupcakes. I guess that’s why I will be buying more from BKD-London. They are so clever. A lot of baking kits don’t taste homemade and these I am not just saying it, tasted amazing. I may have ate two in one go while the kids were napping. Shhhhh, don’t tell on me. I let the kids do the eyes and put on the mouths but my ocd got the better of me because I wanted to practice using the piping bag. Sad I know but I never had one so I needed it. 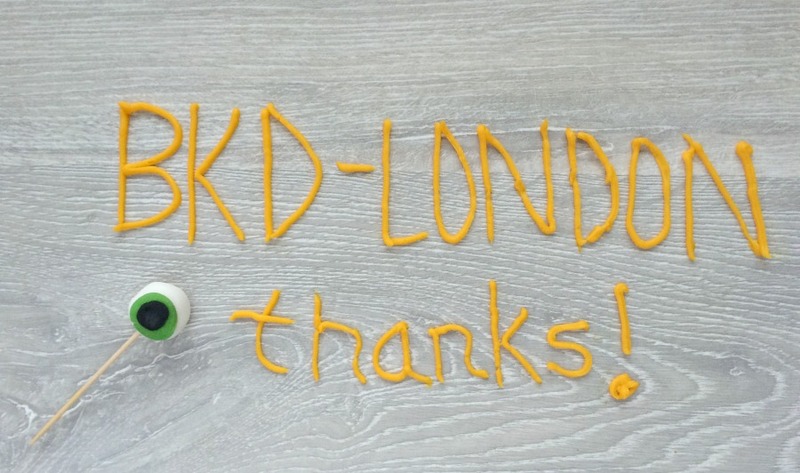 BKD-London really thought of everything when they put these kits together. 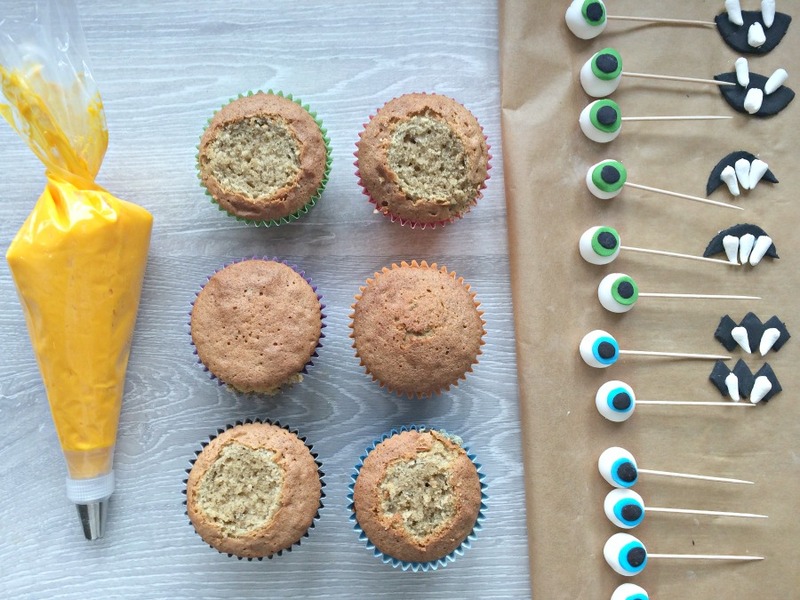 Not only did I REALLY enjoy eating them with the kids afterwards (sorry no photo – we were diving in too much to find a camera) but it really made me realize how much fun it is to bake with my kids. I should do it more often. I sometimes forget they are both not babies anymore. They understand and can do more than I give them credit for sometimes. 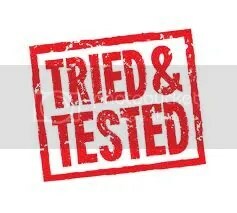 * we were sent this product for the purpose of this review but all photos & opinions are my own. Thanks Rebecca. The kids thought it was brilliant. I need to bake with them more often. Thanks hunny. So fun making them too. Thanks kim. I was really taken away with the actual flavor of the cupcakes. I love my cupcakes so it was a must to pass. Hahaha so yummy. Oh yes it really would i should have mentioned that. Hahaah thanks for sharing it. Thank you. Yes they really are. Or even get a few kids and have the kids do them AT the party!!! Thanks Mama Blueberry. So sweet of you. We had a blast making them together. Thanks Lisa. Yes the packaging was great. Perfect for stocking stuffer. Glad I am not the only one. lol Hard to let the kids go free with things like this. lol But it was worth it. So much fun and so tasty too. Buba did too. They are great. Think i want to try the cookie ones next. 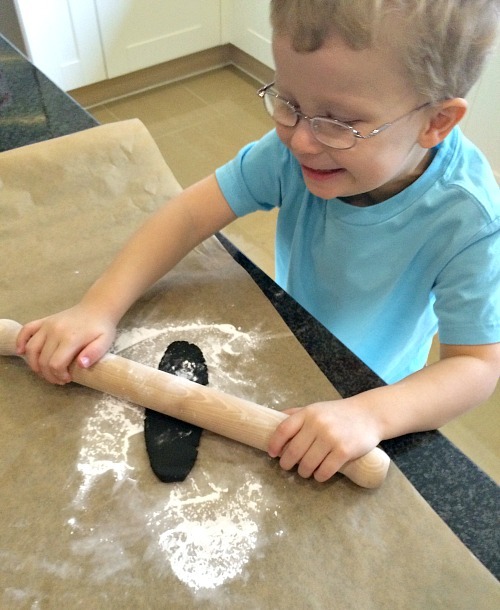 Baking with the kids was so much fun. Its hard for me to not do it myself but once i relaxed it was great fun. They were so much fun to make. The kits would make great stockinh stuffers. Wow, what a great kit. And your cupcakes are super cute! Thanks hunny. They were fun to make. I was so impressed with the kit for sure. Oh my gosh these are SO cute, I don’t think I’d want to eat them! Thanks for popping over Fiona. Yes they certainly would. The kids go mad for monsters. They look delicious, and I share your tendancies for neatness and consistency with things. 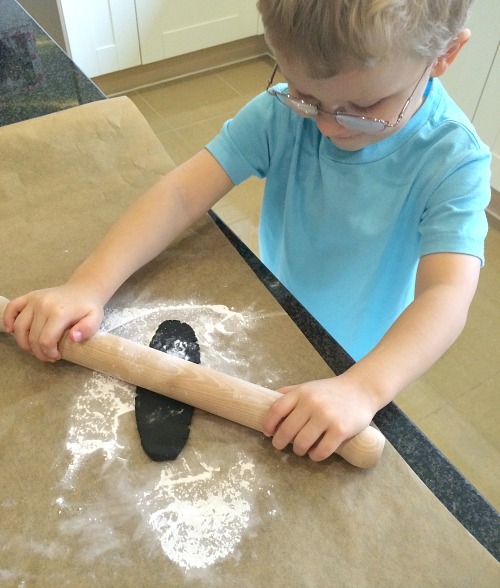 I also find it difficult to let my little one get too messy, but I can see you all enjoyed yourselves. Its hard to meet in the middle. Lol but so much fun when youdo. Jenny these are fab! 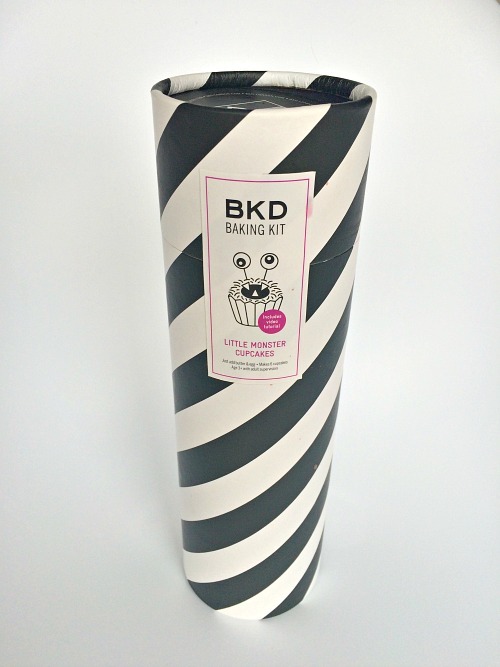 I too am cupcake obsessed, I love the fact that the kit includes everything you need and the packaging is gorgeous too. Love the different monster personalities! 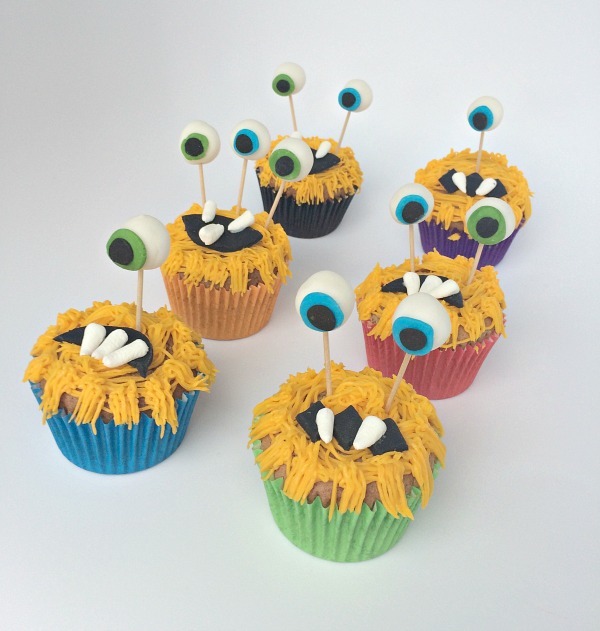 Grace says – These monster cupcakes are AWESOME. I reckon that Buba and Missy Moo have got cupcake fever just like their Mummy now…………..
Oh yes we are an all around cupcake lovers in this house well the ladies of the house. Buba doesn’t like it as much as we do. Men! lol hahaha Thanks grace. No problem we really enjoyed it. So much fun baking together. And the readers loved seeing our creations.